"Who Moved My App? 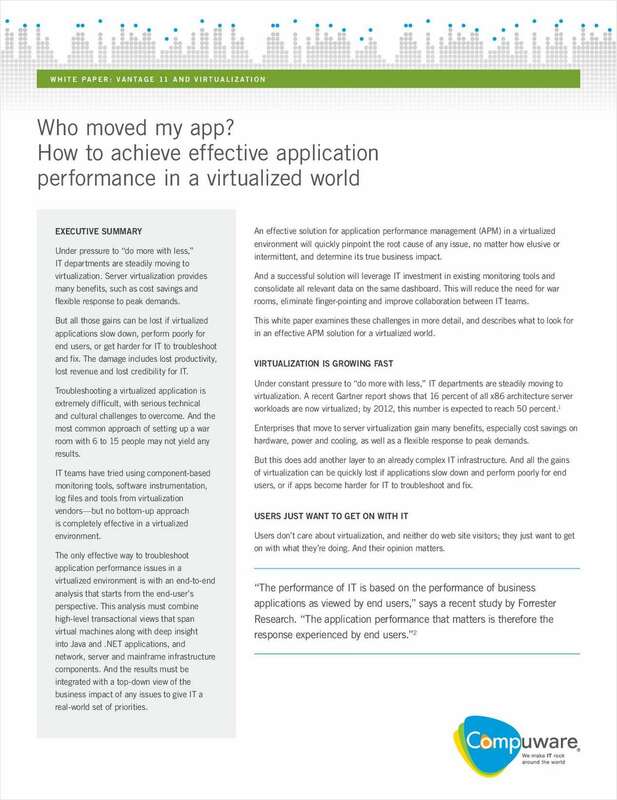 How to Achieve Effective Application Performance in a Virtualized World"
Free White Paper: "Who Moved My App? How to Achieve Effective Application Performance in a Virtualized World"
Register to find out what to look for in an effective APM solution to ensure the success of your virtualized environment.